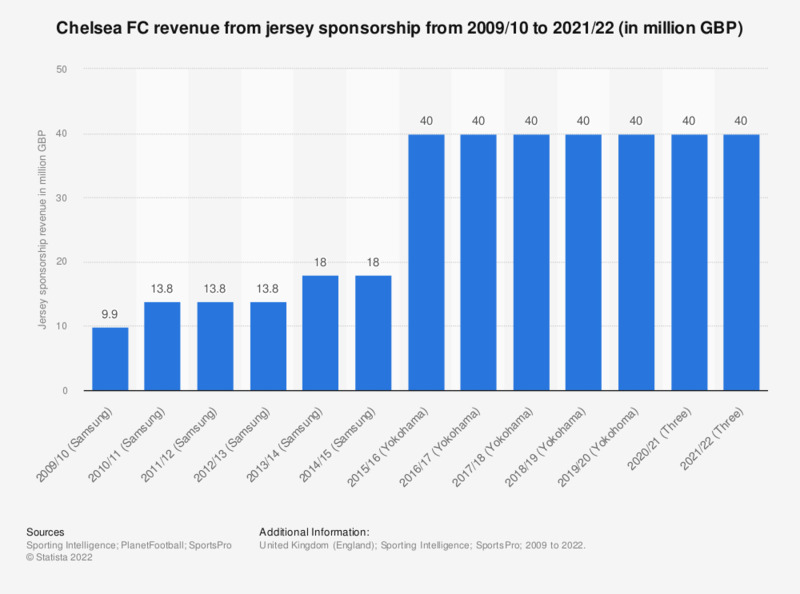 The statistic shows the revenue Chelsea FC generated from its jersey sponsorship deal from the 2009/10 season to the 2018/19 season. In the 2017/18 season Chelsea FC received 40 million GBP from its jersey sponsor Yokohama. How well does the brand Yokohama Tyres suit the club Chelsea F.C.? Which of the following are the main characteristics that are typical of Chelsea F.C. ?